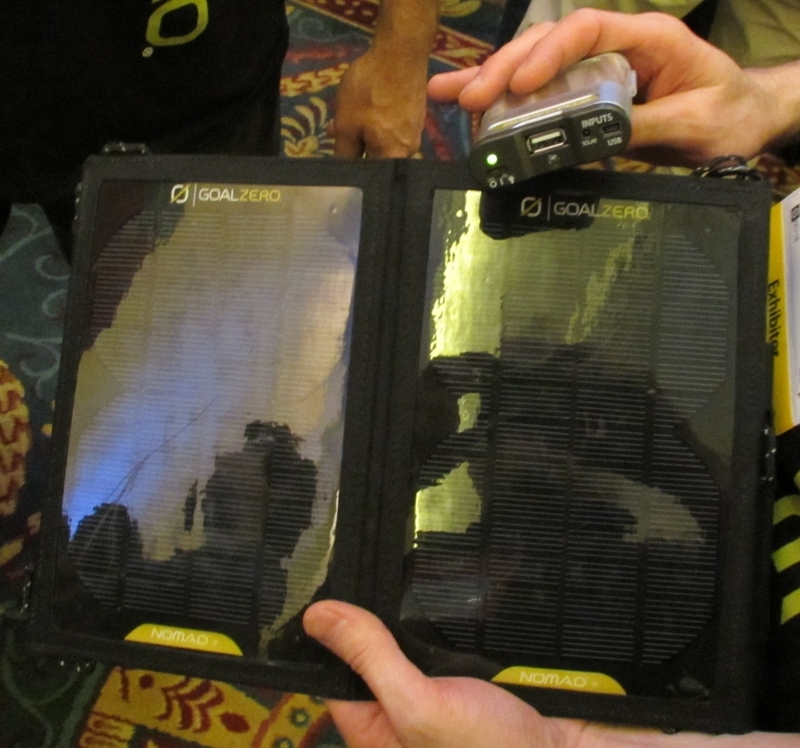 While attending CES Unveiled 2012 we stopped by the Goal Zero booth and had a chat with them about a few of their products. We were able to get our hands on the guide solar charging panel with is powerful enough to directly charge your cell phone without any additional adapters. This small in size and light-weight solar panel is very handy for those of you who love to go hiking and looking for a way to carry less excess weight due to extra batteries. This is the small solar cell phone charging unit. We will be stopping by Goal Zero‘s booth on the CES showroom floor at the Las Vegas Convention Center to get some more coverage of their other products, so check back this week.